Graston Technique is an instrument assisted soft-tissue mobilization treatment. Utilizing medical-grade stainless steel instruments practitioners are able to treat fibrotic tissue by detecting variations in texture of the problematic area with more precision and effectiveness. The treatment is similar to cross-friction massage in that it creates a controlled microtrauma by breaking apart scar tissue from poorly healed injuries. 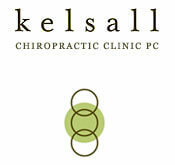 The clinicians at Kelsall Chiropractic may include the Graston Technique in Portland in a treatment plan to effectively reduce and prevent scar tissue or fascial restrictions. Graston is typically used in sport injuries chiropractic, treatment of postural stress, rehabilitation of postsurgical scarring, and treatment of auto accidents. It also has proven effective on plantar fasciitis, sprains, strains, headaches, and carpal tunnel. The treatment area reacts with a controlled, low-level inflammation, increased blood flow, and a breakdown of mismanaged collagen fibers, allowing for replacement of new muscle, ligament, or tendon. Basically, initiating and speeding up your bodies natural healing mechanism. Some patients temporarily experience bruising, redness, or increased sensitivity leading to increased flexibility and decreased pain. For further information, visit the Graston Technique website.